No one is quite sure where that saying originated, although former Speaker of the U.S. House of Representatives Thomas “Tip” O’Neill wrote a political memoir entitled just that. He and others attributed the comment to legendary former Speaker Sam Rayburn, who served as head of the House for 17 years in a congressional career spanning 48 years. “Mr. Sam” had a brilliant mind and a homespun Texas style that, together, produced the most effective House leader in history – but if he’d only coined the “all politics is local” phrase, he would be a political immortal. A cursory review of the months of media spin and punditry – along with the tidal wave of advertising, yard signs, fundraisers, community events, etc. that marked the campaigns of 2006 – would suggest that this was a year in which local issues took a back seat to larger national concerns, such as the Iraq war and immigration. In Maryland, however, it is clear from the results of this year’s statewide and local elections that all politics is still local. Yes, there was a lot of effort on the part of Democrats to try to tie Republicans to President Bush and the Iraq war, and the Republicans tried to suggest that the Dems were soft on security and would tax you to hell and back, with the same themes being played nationally. And, yes, exit polls suggest that Maryland voters were influenced by concern over the Iraq war in particular, but in the end, Maryland remained Maryland: a state where the significant edge in Democratic voter registrations is often telling in election outcomes, especially in statewide races. Maryland voting gained fair amount of national attention because of the intriguing candidacy of Lt. Governor Michael Steele for the U.S. Senate seat being vacated by long-time Senator Paul Sarbanes. Steele, an African-American with charisma and a good presence ( friend of ours says he should pursue a career as a talk show host), ran a campaign with clever television spots presenting him as a different kind of politician, a guy who would seek change and cooperation in the Senate, while painting his opponent, veteran Maryland politician Ben Cardin, as a consummate Washington insider. Cardin’s campaign, in turn, acknowledged the cleverness of Steele’s ads but questioned what he really stood for behind all the glibness, and tried to are you ready? – tie him to the president, saying that he was really more conservative than his moderate image. The race soon came to be regarded as marquee match-up, one whose outcome would be decisive in determining which party controlled the Senate. Not to outdone, of course, was the governor’s race, for this was the race that every political insider in Maryland had been waiting to see for several years, beginning in late 2001, when then-Congressman Bob Ehrlich tossed his hat into the gubernatorial ring. There was, even then, speculation that Baltimore Mayor Martin O’Malley, he of Irish rock band fame, would perhaps challenge Democratic heir-apparent Kathleen Kennedy Townsend in the Democratic primary and face off against Ehrlich in the general election. O’Malley, perhaps to avoid an intra-party dispute that would leave a bad taste in many mouths, never entered the race, and the charming Ehrlich, well fortified with an amazing campaign war chest, handily beat Townsend, sending the state’s Democratic leadership into a teeth-grinding tizzy. Ehrlich would be the state’s first Republican governor in 36 years, facing a legislature with veto-proof Democratic majorities in both houses. Additionally, there would be a new Speaker of the House after Casper Taylor was upset in his local House race and his anointed successor, Mike Busch from Anne Arundel County, was elected by his fellow House Democrats to succeed him. That particular event might have been more momentous than any other in determining the fate of the slot machines debate that would begin with the Ehrlich administration’s first legislative session in 2003. Taylor had been a proponent of slots in some limited fashion (race tracks), as was Ehrlich and Senate President Mike Miller – and it is generally believed by Annapolis insiders, however they are defined, that Ehrlich, Miller and Taylor would have found a way to get an acceptable slots bill passed. We’ll never know, of course, because Taylor was not around to help facilitate that process, and Busch grew increasingly unreceptive to the idea of slots in Maryland during Governor Ehrlich’s term. In 2005, he did put together a House of Delegates version of a slots bill that passed by one vote. However, its terms were unacceptable to the Senate, which had passed its own version of a slots bill for three consecutive years and was in no mood to buy a House version that appeared to be more a challenge to Republican legislators than a serious attempt to address the issue. There were a number of things that became divisive during the four years of the Ehrlich administration: energy deregulation, medical malpractice, corporate health care, etc. – but none better defined the political contentiousness of the period than the slots discussion. For many people, slots became something of an albatross to the governor and his staff because they looked at it as something he couldn’t get done, despite his best efforts. Was the failure a question of partisan politics, as often appeared to be the case, or were there stumbles on the part of the governor and his lieutenants in handling an issue which had little margin for error? That is an imponderable that will always be part of the Ehrlich gubernatorial legacy, and a matter of endless speculation among racing industry advocates. Against the backdrop of a fierce national debate over the Iraq war and border controls, the 2006 campaign began in Maryland with a heavyweight championship atmosphere hanging over the governor’s race. At last, here was the moment we’d all been waiting for: the attractive, personable Republican governor, a proven campaigner, versus the rock star mayor of Baltimore – the ultimate battle of titans, Maryland style. The verbiage in the campaign was, as seems usual these days, less about what one candidate would do if elected than about what the other one hadn’t done very well as governor or mayor. The Ehrlich campaign hammered on the problems of the city of Baltimore as if they were all a function of O’Malley’s mayoral incompetence, while the O’Malley campaign made Ehrlich out to be a tool of those capitalist pigs who like to manipulate politicians like rag doll puppets. It was high-stakes theater with moments of low comedy, as was the Cardin-Steele joust, and the opinion polls seemed to be a bit confusing, especially in the final week or so prior to election day. As an example, The Washington Post, which endorsed Ehrlich, published polls about nine days prior to the election that showed O’Malley and Cardin with low double-digit leads. The Baltimore Sun, which endorsed O’Malley, published polls showing both races being much closer (one to three points margins for the Dems) and hinting that both Ehrlich and Steele had momentum. S t a t e w i d e , Ma r y l a n d e r s were telling the talk show hosts and pundits and pollsters the same things they were hearing elsewhere: There was widespread and increasing dissatisfaction with President Bush and his handling of Iraq, among other things, but no one was truly sure how that would translate at the local polls. Well, at the end of the day on Nov. 7, when the voters had spoken, the Maryland Democratic party was a happy place to be. O’Malley would lead Ehrlich by about seven percentage points, with absentee ballots still being counted, and Cardin would beat Steele by a larger margin. Democrats, as expected, swept the other statewide races (attorney general and comptroller) easily, and added to their margins in the legislative houses, taking six seats in the House of Delegates at the latest count, and gaining a Senate seat in Howard County. Of particular interest in local races was the Anne Arundel county executive seat battle between Republican John Leopold and Democrat George Johnson. Leopold had indicated opposition to the concept of a new Maryland Horse Park on the old Naval Academy Dairy Farm site. Johnson, who thought the idea was interesting, said he would keep an open mind on the question. The county’s horse industry activists touted candidates supporting the Horse Park, and made sure that people knew the respective stances of both Leopold and Johnson. Following the counting of absentee ballots, Johnson conceded the race to Leopold. The latter emailed local Horse Park advocates late in the campaign, expressing reservations about the proposed site due to “infrastructure concerns,” but opening the door to a dialogue with them. That opening demonstrates the value and impact of the grass roots efforts of the Anne Arundel Horse Park advocacy group and provides the basis for moving forward with this meaningful project. What does all this mean in terms of numbers? There will now be a Democratic governor, 104 Democratic delegates (out of 141), 34 Democratic senators (out of 47), and the same Democrats at the top of the heap in both the House (Busch) and Senate (Miller). What does all this mean in terms of the horse industry? On the eternal question du jour -slot machines – it isn’t clear (what else is new?). The governor- elect has said that he favors slots at the tracks, as did his predecessor when he was campaigning in 2002. However, among the messages out of Annapolis over the last four years is one that suggests that a racetracks-only slots model is unlikely to survive the legislative process. There are lots of people, inside and outside of the state, who think they would like to be in the gaming business in Maryland, and will show up at the first sign of life for the slots issue. While the notion of major gambling dollars influencing lawmaking decisions is a fiction perpetrated by gaming opponents and editorial boards, the racetrack owners and other racing industry stakeholders are only one element among those interested in seeing expanded gaming come to Maryland. Additionally, it seems certain that Speaker Busch will reverse his opposition to the idea of slots in Maryland, which will leave him at odds with Senate President Miller over the issue, with the new governor caught in the middle. We’ll hazard a guess that the new governor will not want to venture into his first legislative session with slot machines as a contentious distraction. He is close to the Speaker, having referred to him as one of his political mentors, and might not want to get crossways on this matter immediately – although he also needs to stay close to Senator Miller. In other words, we’re saying that slots will not be an issue in the General Assembly next year. There are, however, fiscal clouds on the horizon, with tax collections having declined in certain respects (the housing market slump has led to a sharp decline in transfer taxes, as an example) and both the state and local governments are going to have to deal with large unfunded pension liabilities. Yes, those legal mandates to balance local and state budgets have led to some corner-cutting here and there, and pensions can become a “we’ll deal with that later” concern very quickly. Then, there is always the giant sucking sound of public education, where the demand for more schools, equipment, staff, programs and salaries is never ceasing. The point is, the state’s current “clear skies” fiscal situation is coming to an end, although it is not certain how bad things might get. Regardless, the stage could be set to push slots as one solution to those upcoming needs (pensions funded by gambling dollars: Is there a difference between that and pensions invested in the stock market?). From the horse industry’s standpoint, the questions about the new world in Annapolis (aside from slots) have more to do with the new governor’s appointments to the departments of Agriculture and Natural Resources, respectively. 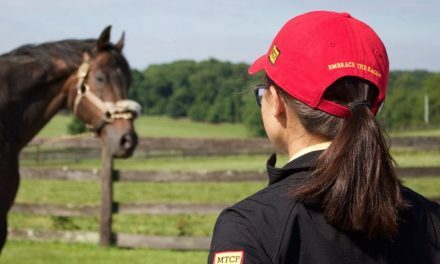 Ehrlich appointees were generally sensitive to the horse industry and its place in the Maryland economy and culture, so we await with anticipation the names of those who will be tabbed by the O’Malley team. Since, as mayor of Baltimore, O’Malley was hardly preoccupied with agricultural concerns, there is no way of knowing what might happen. The lesson to be learned in all this – and it is one of those eternal truths – is that when deciding who to support in races for positions that can influence your business, organization or industry, it is wise to have a dialogue with any and all candidates – because all politics is local, and personal.